A few weeks ago a human-interest story from South Africa was reported internationally. Since the 1970s, I have asked students if they would first try to save their drowning dog or a drowning stranger. And for 40 years I have received the same results: One third vote for their dog, one third for the stranger, and one third don’t know what they would do. “A recent paper by Richard Topolski at George Regents University and colleagues, published in the journal Anthrozo”s, demonstrates this human involvement with pets to a startling extent. Participants in the study were told a hypothetical scenario in which a bus is hurtling out of control, bearing down on a dog and a human. Which do you save? With responses from more than 500 people, the answer was that it depended: What kind of human and what kind of dog? Or, to pose the question within the framework of the dog-stranger question: How do we convince people to save a human being they do not know rather than the dog they do know and love? We need to teach — as we did throughout American history until the 1960s — that human beings are created in God’s image and animals are not. That is the only compelling reason to save a human being you don’t love before the dog you do love. What we have here is the classic tension between feelings and values — or, more precisely, between feelings and revelation (i.e., divinely revealed values). All of us feel more for a being we love than for a being we don’t know, let alone love. Therefore something must supersede our feelings. That something must be values. But these values must be perceived as emanating from something higher than us; higher than our opinions, higher than our faculty of reason, and even higher than our conscience. And that higher source is God. Once again, let us be clear: There is no compelling reason to save the stranger first, except for the assertion that human life is infinitely precious, and infinitely more precious than that of animal life. Even those who vote to save their dog first live by this assertion. After all, nearly all of them are meat eaters: They have others kill animals for their culinary pleasure, but they would never countenance killing humans for their culinary pleasure. It is only when their heart gets involved that they abandon their belief that the value of human life is greater than that of animal life. Without revelation, we cannot know what is right (we can have opinions and beliefs about morality but not moral knowledge). And even if we could know what is right without revelation, our feelings too often overwhelm that knowledge. I, too, love my dogs. But I believe that God demands I save any of you first. The results of all these polls provide examples of the terrible moral price we pay thinking that secularism is as good a guide to moral behavior as revelation. If you don’t believe me, pose the dog-stranger question to ten people who believe Genesis is divine writ and ten people who believe the Bible is written entirely by men. When you tally the results, you will feel safer swimming among religious Jews and Christians. 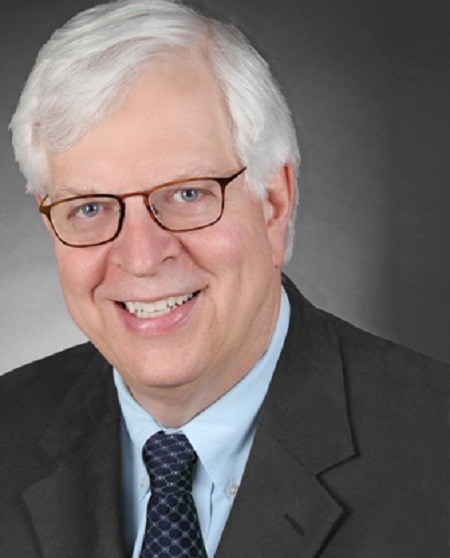 Dennis Prager’s latest book, “Still the Best Hope: Why the World Needs American Values to Triumph,” was published April 24 by HarperCollins. He is a nationally syndicated radio show host and creator of PragerUniversity.Com.